I recently compiled a list of 10 ways I could save a little extra money here and there, to go towards our next holiday. I thought it would be a good idea to share it here, with other people who are keen to travel and want to free up their budget a little. You can make money from selling or recycling old mobile phones, whatever condition they are in. I decided to sell my mobile which was sitting in the back of my drawer and realised I actually had a few old phones in there! I seem to have acquired quite a few over the years. Most of them have cracked screens to be honest, but they are still worth a little money. I’ve been meaning to do a good old de-clutter for ages and a car boot is a great way to make a bit of cash. Everything from books to clothes are good for a car boot. You know what they say… “one man’s junk is another man’s treasure” (or “woman’s” in my case). Anything that doesn’t sell at car boot, I will drop off at a charity shop and that way I have both decluttered and hopefully made a few pennies. I’ve discovered that by phoning your utility suppliers, your broadband provider and your mobile phone provider, you can renegotiate the bills you pay and often get them reduced. I managed to save £10 per month off my broadband, £30 per month off my mobile phone bill and a fair amount off of my utilities too, just by expressing an interest in “changing providers”. Shopping around first always helps, as you can tell your existing provider what deals are out there and they will usually beat it. More work for more pay to cover the costs of more play! Or if you can’t take on overtime in your current job, you could perhaps consider taking on a second job (although for tax purposes, you’ll save more money with just one job – they tend to tax you more on any second jobs). I’m learning a second department at my work and contemplating a third, just to keep my options open. As a family we have cut back on eating out immensely, but we still end up buying random things we don’t really need at the supermarket. By meal planning, we can budget better and spend less on food shopping. A lot of people suggest that doing your food shop online can also save you a lot of money, but then you miss out on clearance bargains and have to pay a delivery fee. Have yourself a little change pot at home. 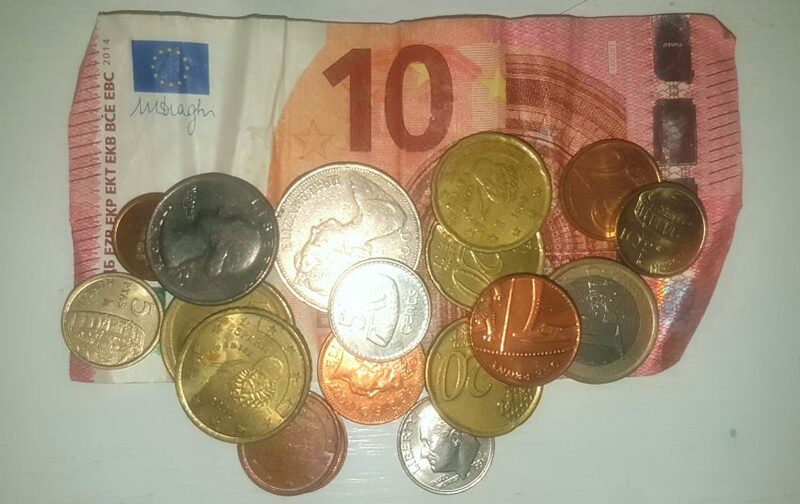 Depending on how good you are at saving, you might want to put particular coins in (for example, anything under 50p or just £2 coins only) or you may be in a position to dump all of your change in a change pot at the end of every day. Leave it there for a few weeks, then bag it all up and take it to the bank. Keep one bank account just for travel funds. Keep this separate from the account your bills come out of and keep it separate from the account you use for everyday spending. Save a little each week, based on what you can afford and watch it mount up. Whether it’s supermarket club card points or air miles you are saving, loyalty schemes do save you money. Look out for coupons, shop around for the best deals and collect points with all your loyalty schemes. When you cash in the rewards, you’ll be saving your actual cash. I collect points with Morrisons, Tesco, Nectar, Boots, Celly’s, Costa and Avios to name just a few and it’s surprising how quickly the money mounts up. I have been using one particular cashback site for years and have earnt hundreds of pounds through it. I sometimes do surveys for extra air miles too, but you can also do surveys and mystery shopping on some websites for cash. It takes a long time for money to track and become payable through these methods, but it’s still well worth doing. Did you know, that some airlines reserve flights for some of their large corporate clients. Then when those clients confirm the actual number of seats they need on any given flight, the rest are released to general sale. This often happens on a weekly basis at the same time each week and the increased availability usually results in a decrease in price. I was told that this usually happens around about midnight on a Wednesday. So far I have found that it does seem to work and I find cheaper prices at that time. Flight prices increase at weekends as this is the most popular time for people to book flights. So there you go… 10 easy ways to save money at home, to make family travel more affordable. What other ways do you save money? Feel free to share them in the comments section below.